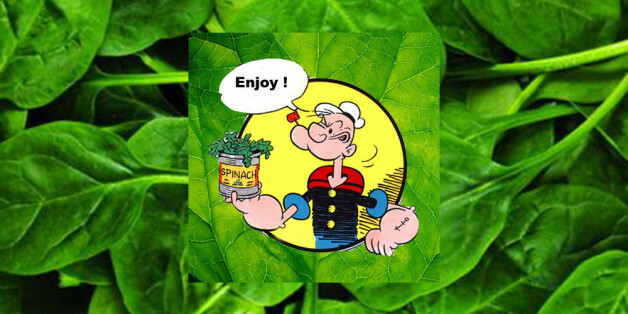 While Popeye ate spinach everyday to maintain strong muscles, he was also bettering his memory, maybe without even knowing it. Consuming just a daily serving of spinach -- or any type of leafy green, for that matter -- may help slow the process of age-associated cognitive decline, according to a new study. The reason? Vitamin K.
A group of researchers at Rush University in Chicago who analyzed the diets and mental functions of 954 elderly people over a five year period found that those who incorporated more green in their diets were more likely to be mentally sharp. The researchers tracked the diets of participants, whose age averaged 81, for an average of five years. They found that people who ate one or two daily portions of green leafy vegetables had the same cognitive abilities as someone 11 years younger who never consumed leafy greens. Beyond spinach, vegetables like kale, collards and mustard greens could also be effective in slowing down the brain's aging process. Previous studies have found that both folate and beta-carotene are brain boosters, but this study is the first to evaluate the benefits vitamin K has on the brain. “No other studies have looked at vitamin K in relation to change in cognitive abilities over time, and only a limited number of studies have found some association with lutein," said Martha Clare Morris, Sc.D., assistant provost for community research at Rush University Medical Center and the leader of the study's research team. The team believes that other foods high in these nutrients, like asparagus, brussels sprouts and carrots could provide the same benefits as the darker greens, and they intend to expand their research to explore this possibility. The research holds promise for a brain booster that is accessible and affordable. "Since declining cognitive ability is central to Alzheimer’s disease and dementias, increasing consumption of green leafy vegetables could offer a very simple, affordable and non-invasive way of potentially protecting your brain from Alzheimer’s disease and dementia,” Morris said. The study was presented at the Experimental Biology meeting on March 30.